Pharmaceutical Contract Manufacturer of Sterile Products - Alanza Inc.
Alanza is a manufacturer of sterile products for the pharmaceutical, biopharmaceutical, and biotechnology industries in USA, Canada and Europe. Alanza can service your need for sterile clinical trial materials, pharmaceutical products or other biopharmaceutical manufacturing. Among pharmaceutical companies, Alanza’s primary mandate is to service worldwide, the sterile injectable/infusion products industry. We welcome your requests for sterile clinical trial materials, diagnostic kits, pharmaceutical products, or other pharmaceutical/clinical manufacturing. Thank you for contacting Alanza. Alanza can produce sterile clinical trial materials from pre-clinical quantities to large scale batches for global distribution. 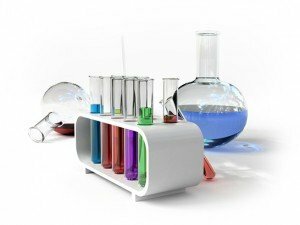 Alanza offers a large selection of sterile life science reagents and media. Alanza Has the Experience You Need! Alanza has extensive experience in sterile manufacturing and has been in business since 2000, first as Aestus Pharmaceuticals Corp., and then as Alanza since 2009.